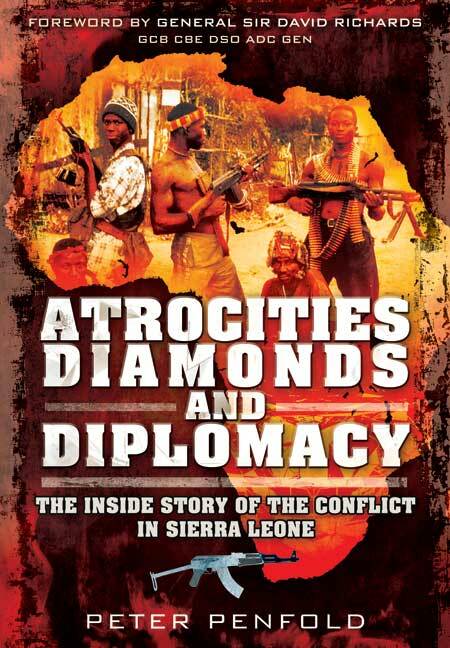 You'll be £12.99 closer to your next £10.00 credit when you purchase Atrocities, Diamonds and Diplomacy. What's this? A very readable autobiographical account. Peter Penfold served as the British High Commissioner in Sierra Leone from 1997 to 2000, during which time he gained the generous friendship of the president and people of this most embattled and impoverished country, and although he also won high praise for his efforts at home, he was subsequently reprimanded, if not made a scapegoat, by the "Arms for Africa" Enquiry. Having been so intimately involved at a diplomatic level, there can be few who are so well placed to describe the events of this time, from the various efforts to achieve a political solution to the most appalling atrocities carried out by the rebel forces. This is a rich and detailed account of Britain's involvement in a conflict which, rightly or wrongly, was ultimately to serve as a model for its military intervention in future disputes.